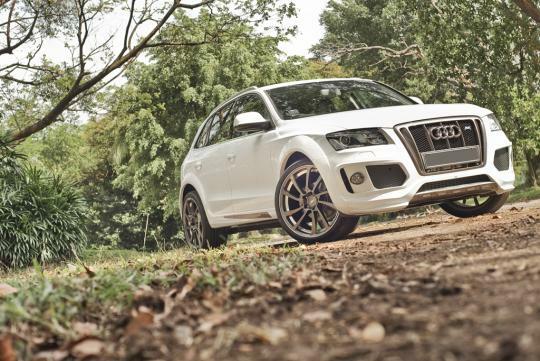 This wide and wonderful Q5 has received the ABT treatment, and we can't help but yelp about it! Sometimes you don't realise what you want until you've been given a taste of it. I hate that. Until today, I was perfectly fine with the way a stock Audi Q5 looks and performs. I�ll say it again - until today. What you see here is a result of some bored (but talented) Germans who decided to kill time by tuning an SUV. 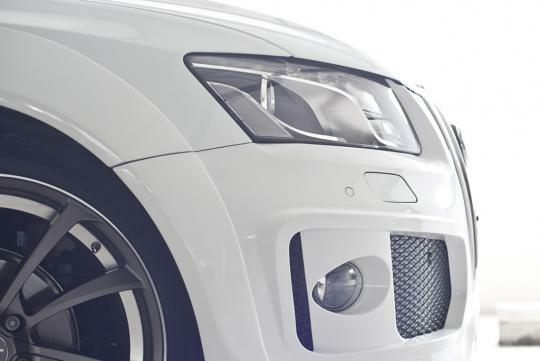 It's not their first time at it, they've worked on the VW Touareg, VW Tiguan and Audi Q7 (they get bored alot). 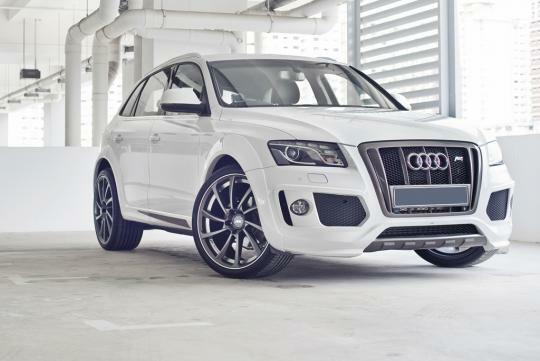 Now, they've done it with the Audi Q5. To some, it might seem a bit over-the-top. 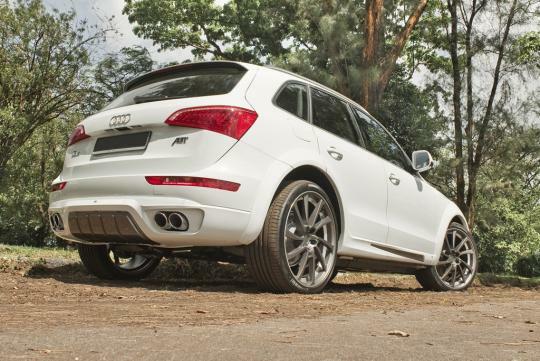 But trust me, give it time and the ABT Q5 will grow on you. The first thing that hits you is the fact that this baby is wider than usual. Thanks to the ABT fender extensions, the car now has a visual stance of an overgrown white pitbull terrier. To add to that aggressive appearance, the ABT front apron, rear apron and side skirts all work cohesively to complete the aerodynamic kit. 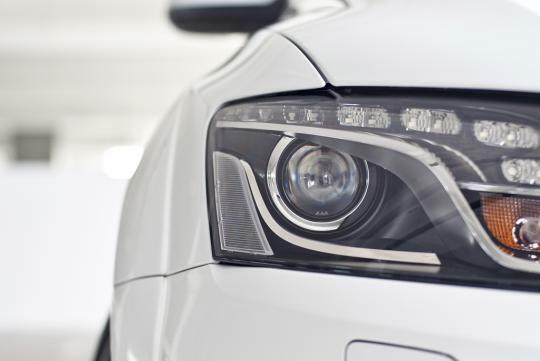 Up in the front, a strong front guard with a chunky grille changes the face of the Q5 completely, giving it a look only an ABT car could have. 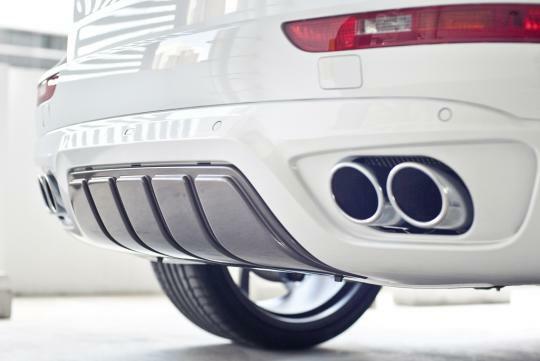 At the rear, a 4-pipe rear silencer peeps out of the rear apron, hinting at the augmented power that has been added onto the car. 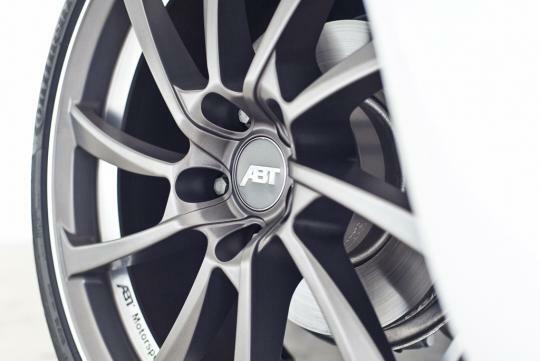 ABT Springs lower the car by about 30mm. Which is just about right, a 'slammed' SUV would just look plain silly. It's not all just for show though, when we pitched the car into a series of corners, the lower center of gravity and uprated spring rate gave the car sharper handling characteristics too. But is there pace to match the grace? Indeed there is. 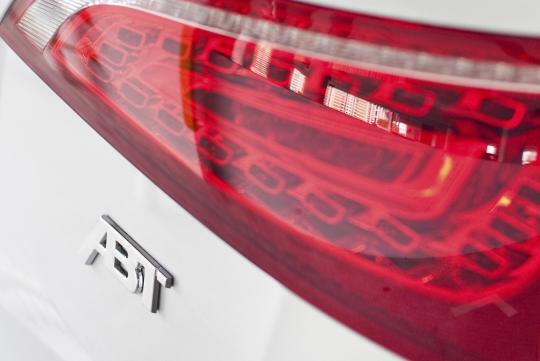 Added power comes from an ABT Power tuning program for the 2.0-litre turbo engine. 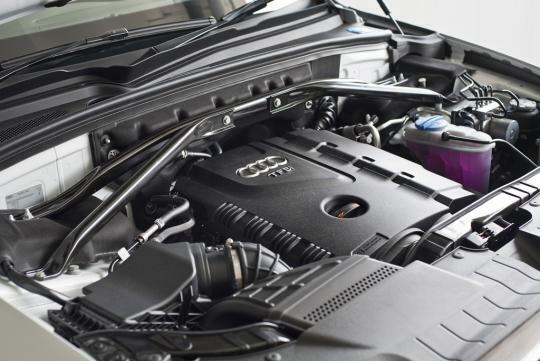 Developing 275bhp, it is 64bhp more than the standard 211bhp. Torque figures soar up to 390Nm! Floor the pedal, and there's no denying the fact that the car has to overcome some initial weight. But after a split second of lag, all 390Nm of torque will make their presence felt, propelling the car forward in a mini jet-like thrust. This is one fast SUV, NS highway cruising will be a cinch. Surprisingly, the massive ABT DR 22" sport rims don't seem to compromise much on the ride comfort. The car still feels pliant and the bumpiness from road undulations are kept well at bay. Granted, this could partly be due to a well insulated cabin and overall build quality of the car. 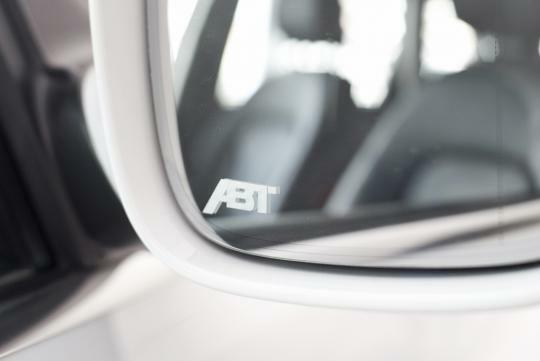 Overall, the ABT Q5 is truly an awesome transformation from the Audi original, offering mean looks and punchy performance all bundled in a relaxed SUV package. 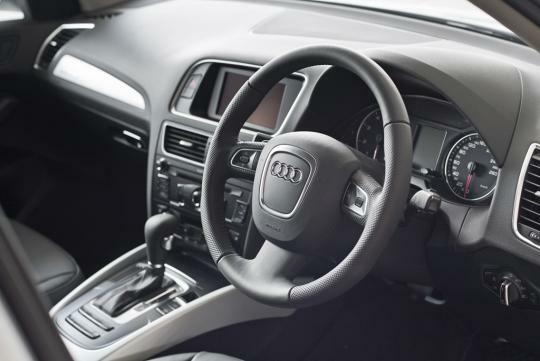 I might just never be able to accept the Q5 in its standard form again.